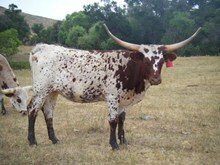 Drop dead gorgeous cow with 70” of beautiful triple twisting horns. 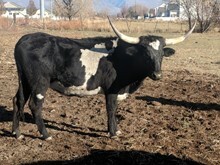 She has given us 3 beautiful heifers in a row!. 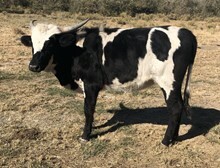 She is a great mother and raises big nice calves. 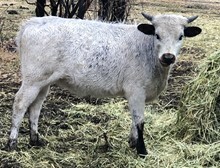 She has been confirmed bred to Gold Mine 1, who was 82 3/8 at 3 years, for a spring 2019 calf.